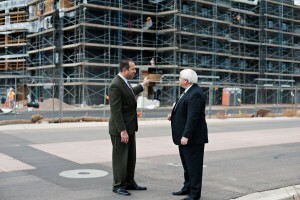 The Armstrong Group has served Commercial Real Estate needs in Scottsdale, Phoenix, Tempe, and Prescott since 1986. Scott Armstrong has personally advised and represented over 2700 businesses of every size and description. Scott’s clients range from Fortune 100 companies to local companies, including established businesses, doctors and dentists as well as start-up enterprises. They recognize that they are better off focusing on their core competencies and outsourcing their commercial real estate to an expert. They realize that every dollar saved in excess rent is a dollar that can be used for employee salaries and benefits, equipment, growing the business, saving to buy commercial property or for their retirement. They know that most real estate transactions contain a commission, so expert representation costs them nothing (and saves them time, money and aggravation). Approximately 80% of The Armstrong Group’s business is referral-based and originates from my past and current clients.